One of the perks of being a Beatleologist and celebrity nerd (as my wife calls me) is that I get paid to do things for which others shell out big bucks. Right now, I’m heading to Jamaica as a guest speaker on the 2017 Flower Power Cruise. Being trapped on a boat for a week with bands claiming to be Three Dog Night, Vanilla Fudge, or The Fifth Dimension (even though the bands barely resemble the originals) was not that high on my bucket list. Yet, there is one special guest that has me barely containing my excitement — The Zombies. Until about a decade ago, I remained ignorantly unaware of The Zombies. Of course, I knew and liked their three big singles — “She’s Not There,” “Tell Her No,” and “Time of the Season.” I appreciated the catchy songwriting, the great harmonies, and (as a keyboard player myself) Rod Argent’s jazz-rock keyboard solos. I thought of The Zombies as a three-hit wonder, another Beatles clone, albeit much better than other similar artists. Still, three hits does not make a great band. Then, I discovered 1968’s Odessey and Oracle. As with my first exposure to Sgt. Pepper’s Lonely Hearts Club Band so many years before, my first introduction to Odessey was the album cover. The mystery of the misspelled title as if signaling that the album would be somehow greater or more unusual than an “ordinary” odyssey. (In reality, it was an accidental misspelling by the album’s artist, Terry Quirk). The ornate-on-acid lettering that somehow connected the cover’s vibrant colors with the sepia photos nestled among the flowers (a collage that harkened back to Klaus Voorman’s classic Revolver cover). Could the music of Odessey and Oracle possibly live up to the hallucinogen-inducing album art, or would this be another lame exercise in Nuggets-style garage band psychedelia? As it turned out, I was in for a big surprise. One listen to Odessey and Orcacle was enough for me to realize that the album was a masterpiece. A perfect blend of The Beatles’ catchy, sophisticated pop, the Village Green nostalgia of The Kinks, the jazz-influenced psychedelia of Pink Floyd, and the harmonies of The Beach Boys and The Byrds. It’s not hard to see a direct line from Odessey to David Bowie, Elton John, and Queen. How is it that I was just discovering this album? Why was it not mentioned in the same breath as Are You Experienced, Beggars Banquet, or Astral Weeks? Odessey and Oracle was recorded at EMI Studios, now called Abbey Road Studios. The Beatles had just wrapped up the recording of Sgt. Pepper, and their former engineer, Norman Smith, was producing the first album by Pink Floyd, The Piper At The Gates of Dawn. The Zombies worked on their second album in the same space, even using the same mellotron played by The Beatles for their arrangements. Moreover, Geoff Emerick, the engineer behind Sgt. Pepper acted as engineer for Odessey. The songs were each written by Argent or bassist Chris White, both of whom handled production for the album. Front man Colin Blunstone sang most of the lead vocals. Guitarist Paul Atkinson and drummer Hugh Grundy rounded out the quintet. The opening song, Argent’s “Care of Cell 44,” sets the stage for the album to follow. Accompanied by Argent’s tack piano and mellotron strings, Blunstone launches into a love song of a different kind — the singer is writing to his girlfriend in prison, a twist on the “baby’s coming back” song. Pitchfork called it “the sunniest song ever written about the impending release of a prison inmate,” and you would be hard pressed to come up with another! Just before each chorus, the song pulls back for two bars of a cappella Beach Boys-esque harmonies. Then, the band kicks in: “Feels so good you’re coming home.” And it does feel good. “A Rose For Emily” is another beautiful song by Argent. Its sparse arrangement, just a piano and multi-part vocals, conjures up another song about a lonely woman, The Beatles’ “Eleanor Rigby.” “Changes,” written by Chris White, begins with a mellotron flute. Suddenly, a madrigal of summery vocals enter. The song seems to shift every few bars between Blunstone’s slightly twee vocals, the madrigal-like choruses, multiple pianos, and bits of percussion. White’s “Butcher’s Tale (Western Front 1914)” features a lyric based on an incident from World War I, made all the more disturbing by White’s vocal (his only one on a Zombies album) and the sole accompanying instrument, a harmonium. And, of course, there’s the album’s closer, “Time of The Season,” with its instantly recognizable “boom-clap-hi-hat—Ahhh” accompaniment. The song features call-and-response vocals that build towards the glorious harmonies of the chorus, and Argent executes a beautifully constructed and memorable Hammond organ solo. Odessey’s songs stop and start, change tempo, and shift keys. They alternate between quieter verses often accompanied by nothing more than a single keyboard and choruses with perfectly blended, multi-part harmonies. One might be tempted to place Odessey alongside other psychedelic albums of the time, but the songs’ arrangements and performances demonstrate a sophistication lacking from many of The Zombies’ contemporaries. It’s likely that the public would never have heard Odessey and Oracle had it not been for Al Kooper. It was Kooper, the same guy who founded Blood, Sweat, and Tears and crashed Dylan’s “Like A Rolling Stone” session, who earned a third accolade to make him a deserving candidate for the Rock and Roll Hall of Fame — Kooper rescued Odessey and Oracle. The Zombies had turned the album in to CBS Records, but label boss Clive Davis was reluctant to release it. It was Kooper who heard the album and begged Davis to give Odessey a proper release. By the time “Time of the Season” was issued as a single in April of 1969, the album was receiving exuberant reviews from critics. But, it was too late. By then, the Zombies had broken up. Although CBS pressured them to get back together, and White and Argent wrote and recorded some songs for a follow-up album, The Zombies of Odessey and Oracle never released another album. Rod Argent went on to form Argent (whose big hit was “Hold Your Head Up”), and Colin Blunstone released several solo albums and acted as a guest vocalist for The Alan Parsons Project. Chris White wrote songs for both Argent and Blunstone, while Grundy and Atkinson pursued other careers. Although there were reunions and albums over the last three decades, the five original members never played together again. Today, The Zombies are fronted by Blunstone and Argent. Their latest album is 2015’s Still Got That Hunger. It has a harder blues-rock edge than Odessey with great songs by Argent (plus one by Blunstone) and contemporary production that updates The Zombies’ sound. Hunger even includes an update of a song recorded by the original Zombies, “I Want You Back Again.” The arrangements are excellent, and Argent’s keyboards and Blunstone’s vocals remain strong. Truth be told, I look forward to meeting my cruise mates Spencer Davis, Eric Burdon, and Mickey Dolenz. I’m sure I’ll be singing along with the John Sebastian-less Lovin’ Spoonful and a Jeff Beck-less Yardbirds. Yet, the highlight of this week’s odyssey will surely be when I get to take a different kind of “Odessey” with The Zombies. PS. Scott just reported to say he saw The Zombies concert on the cruise and says they were fantastic! PPS. For a look at other Beatlesque bands, check out our post 15 Bands Following In The Beatles’ Footsteps. 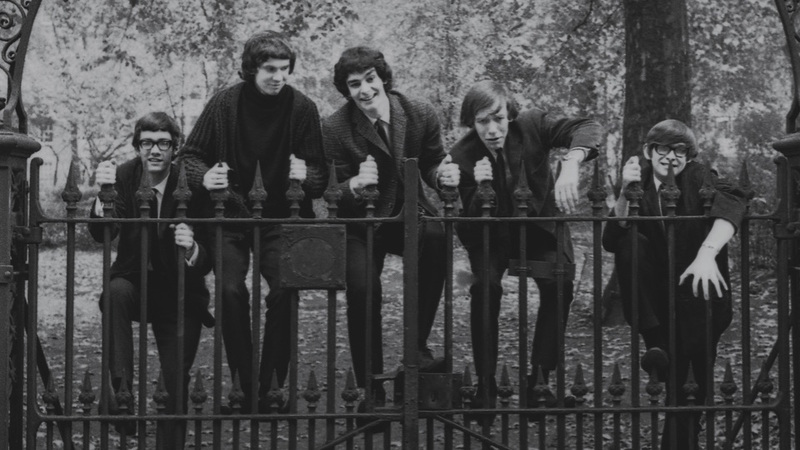 You may also enjoy our post Appreciating The Kinks’ Veddy, Veddy British Period. Thank you for recognizing our greatest live touring band from the day. Please check Spelling on Eric Burdon. I always love reading about folks who discover the music of the Zombies all these decades after the band’s heyday in the sixties. You did a terrific job expressing the excitement of listening for the first time to their unique sound, unmatched by any of their contemporaries and nearly unduplicated by anyone since. At 16, I was likely one of the first people in America to hear Odessey and Oracle, having ordered it from Britain at a local Bronx store specializing in foreign imports. I already was an avid fan of theirs, following any rock magainze I could get my hands on for any detail of their progress and of any news about a next single. They would have eight or nine singles after Tell Her No, none of them making a splash though every single one of them was a gem. It is one of the great crimes of rock history that their records did not do better. Like you, I also remember the stunningly beautiful harmonies of the opening numbers, Care of Cell 44, Maybe After He’s Gone, A Rose for Emily and the rest. I’d just like to point out that often lost in the adulation of this album is the group’s first effort, Zombies Begin Here. It is not on par with O&O, and it has — I hate to say — a couple of stinkers on it, but it also has several strong, and also unique for its time, original songs such as What More Can I Do, Sometimes, It’s All Right With Me, I Don’t Want to Know, and the band’s distinctively beautiful version of Gershwin’s summertime. The music is not as sophisticated as O&O, but it remains a perfect respresentation of the best of the British Invasion era, and you will find listening to it a treat on par with O&O. (By the way, the way, the photo accompanying your article was taken by me when the Zombies performed in Atlantic City in the early 2000s.. It appears on their Wikipedia page and I appreciate CultureSonar’s courtesy in listing my name in the credit line.) Thanks for the wonderful article, Scott, and welcome, as a freshman, to a most distinguished fan club! Interesting piece – now more required listening. That keyboard solo on “She’s Not There” was pushing the “rock envelope” at that time into jazzy territory. So – are Sebastian and Beck forming their own band that never plays out? Scott, you may have just been unaware, but three of the four members of the Vanilla Fudge are the original members & Pete Bremy, the excellent bass player and vocalist who replaced the legendary Tim Bogert (due to health reasons) has been with both the Fudge & Cactus, where he also played with Carmine Appice. So, although I enjoyed your informative article on the Zombies – I thought it fair to set the record straight that the Vanilla Fudge is not a band that barely resembles the original, but is mostly original & still recording. Their latest album “Spirit of 67” has received much acclaim!